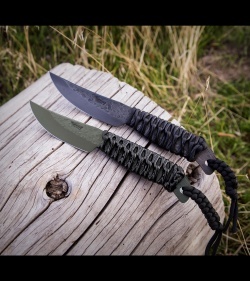 This Behring Made Pro LT Caper is hand forged from durable high carbon O1 tool steel with a hammermark finish and protective OD green Cerakote. 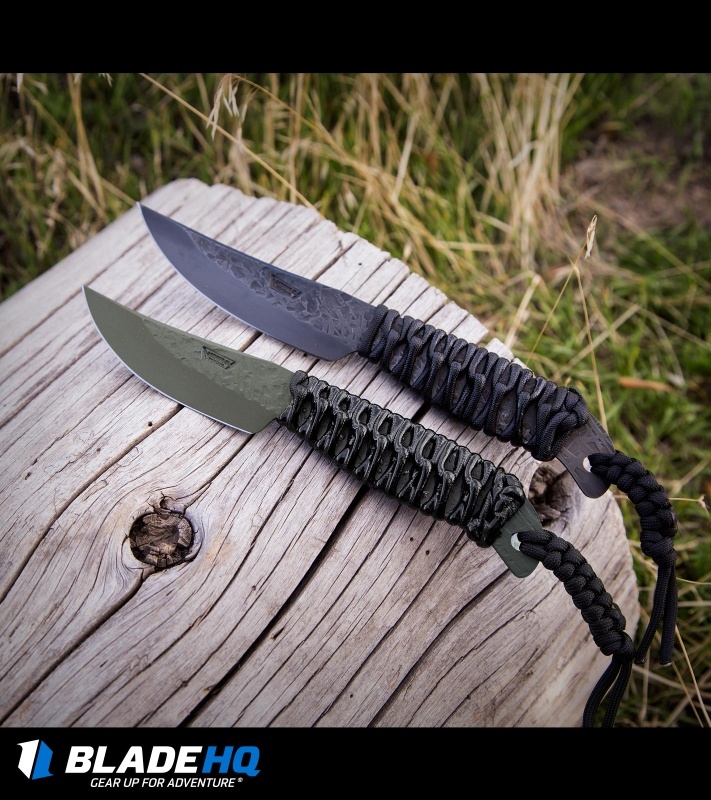 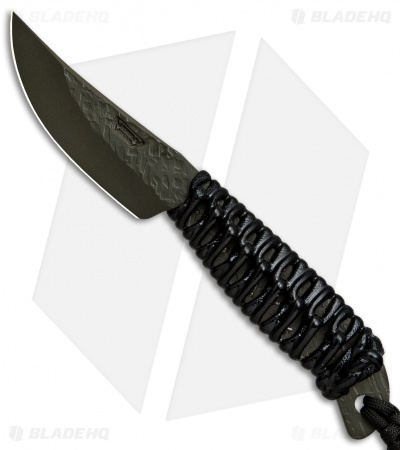 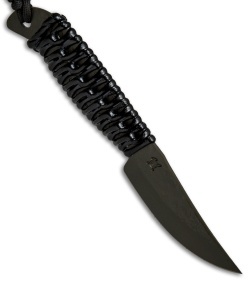 Its handle is wrapped with black paracord for added grip, and has been marine epoxy treated to prevent the absorption of blood or dirt. 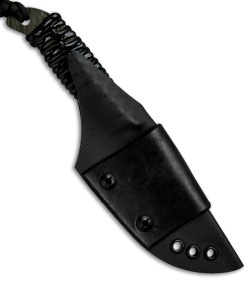 Comes complete with an all-weather sheath and leather belt attachment.